The 16th IFIP TC.13 International Conference on Human-Computer Interaction - INTERACT 2017 will be held from September 25-29, 2017 in Mumbai, India. INTERACT conferences are an important platform for researchers and practitioners in the field of human-computer interaction (HCI) to showcase their work. Over the years, the conferences have attracted researchers from several countries and cultures. Being held for the first time in India in 2017, the conference will come a step closer to more than half of the world’s population. INTERACT is among the world's top conferences in Human-Computer Interaction. Starting with the first conference in 1990, this conference series has been organised under the aegis of the Technical Committee 13 on Human-Computer Interaction of the UNESCO International Federation for Information Processing (IFIP). This committee aims at developing the science and technology of the interaction between humans and computing devices. Many regions that are considered least developed or developing today, have witnessed the peak of their civilization in the past. Economists and thinkers around the world predict that these regions would re-achieve an acceptable level of human development by the year 2020. As this wheel of time turns, parts of these expectations should be visible on the horizon by the year 2017. Information and communication products are playing an unprecedented role in connecting these newer worlds. We now have new and unique users, uses, challenges, and opportunities. Early adopters from these groups have already adopted newer technologies. The early majority is likely to follow. It is not surprising that a large number of HCI researchers and technology companies are showing immense interest in these emerging markets. INTERACT 2017 will explore these challenges and opportunities. In this new age of global connectivity, designers are often required to design products for users who are beyond their borders and belonging to distinctly different cultures. The process of designing products is becoming more multi-disciplinary by the day. Solutions are now designed with a global perspective in mind, however local the solution might be. For those in the field of human-computer interaction, the phenomenon of global thoughts, local designs would have a direct impact. It encompasses the areas of HCI in the industry of emerging economies, HCI contributions in socio-economic development, HCI for products and services in emerging markets, including mobile systems, HCI and designs for low-literacy users, HCI and designs for bottom of the pyramid users, and HCI for remote contexts, including issues related to international outsourcing / global software development. We would develop onthese ideas going forward. The principal host for INTERACT 2017 will be the Industrial Design Centre (IDC) in Indian Institute of Technology, Bombay (IIT-B). The conference will be co-sponsored by HCI Professionals Association of India (HCIPAI) and the Computer Society of India (CSI). Front-view of the Industrial Design Centre, principal host of the conference. 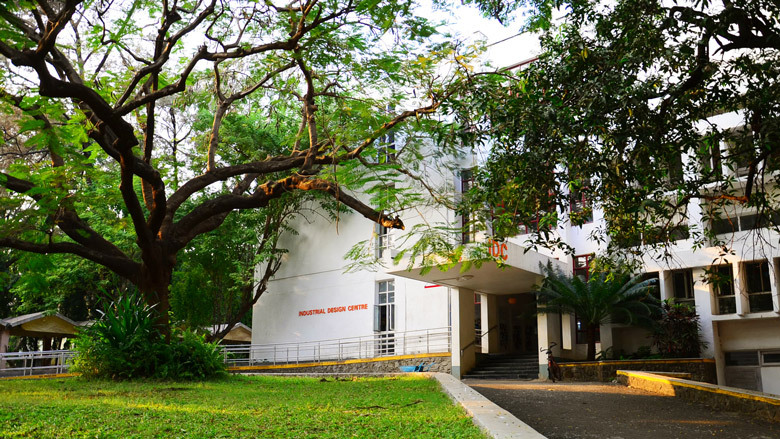 IDC is a leading design school from India with vibrant masters-level design programmes in product design, visual communication, interaction design, animation and mobility and vehicle design and a much sought-after PhD programme in Design. IDC has been active in the field of HCI for many years. The first project of design of an interactive product was done in IDC in 1987. The first credited course on interaction design started in IDC in 1999. Several alumni from IDC are leaders in practice, education and research in interaction design and HCI for almost two decades. IDC has been running a mailing list of HCI professionals in India (HCIIDC), which today has over 2,400 members.